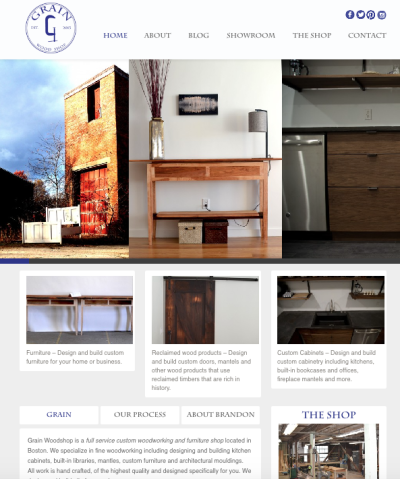 Design Burd Inc.Grain Woodshop | Design Burd Inc. Grain Woodshop is a full service custom woodworking and furniture shop located in Boston. We specialize in fine woodworking including designing and building kitchen cabinets, built-in libraries, mantles, custom furniture and architectural mouldings. All work is hand crafted, of the highest quality and designed specifically for you. We design and build all of our work.